In year 2002, in order to integrate the Fingerprint Biometric features in E-soft application, Everise had purchased the Fingerprint Biometric SDK to develop the Fingerprint Clocking System.The fingerprint technology will be able to deploy in all E-Soft business solutions. Everise also developed the E-Soft Proximity Clock communication software to control ∫egrate with Proximity Time Clock. In the same year, we also launched our E-Soft ERP System. It is powered by client-server architecture deploying SQL Database. Everise was granted MSC Status Company by Multimedia Development Corporation (MDC) in year 2004. In year 2005, Everise had been involved in the implementation of Smart School System for S.R.J.K (C) Pekan Lama, Sungai Petani, Kedah. The solutions include the Teacher & Student Attendance system, Library System, Result Processing System, Administration System. In 2007, E-Soft POS System cater for mini market, hardware shops & other business was launched. E-Soft Accounting System with integration to E-Soft ERP System & E-Soft POS System completed in the same year. 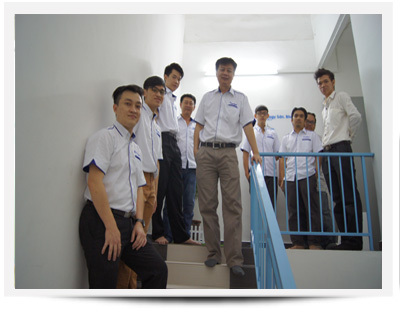 In 2008, E-Soft Trading System targeting Trading House was launched together with E-Soft Timber System. The E-Soft Timber Solutions cover the Timber Logs System, Sawn Timber System, Plywood System & Kiln Dry Service System. In 2009, E-Soft Hotel Management System comprising the Hotel Frontdesk System & Hotel Back Office System were launched with PABX System. We complete the E-Soft Hospital Management System in 2010 together with E-Soft F&B POS System in 2010. We concentrated in hotel solutions from 2011 & 2012 with the to provide our customers with Hotel Online System & Kiosk Check In System. In 2013, E-Soft E-HR System was lanched to integrate with our E-Soft Human Resource, Time Management & Payroll System. In 2014, E-Soft Accounting System GST V3.1 was certify by Jabatan Kastam Diraja Malaysia as GST Software Provider.